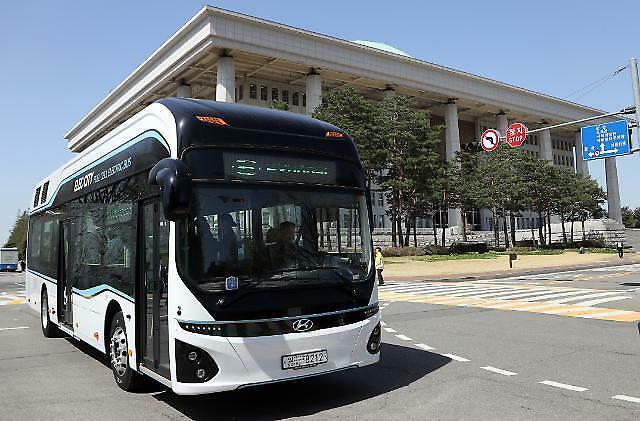 SEOUL -- A hydrogen fuel cell city bus was put into test operation to carry passenger on an urban route for the first time in South Korea as part of a government campaign to improve public perception about the safety and efficiency of the clean-energy vehicle. Government officials plan to test 30 clean-energy buses at major cities next year. The Ministry of Trade, Industry and Energy said in a statement Monday that the bus made its debut Monday in the southeastern port city of Ulsan after city officials, Hyundai Motor and a local bus company signed a memorandum of understanding to test it on the 56-kilometer (34 miles) route. 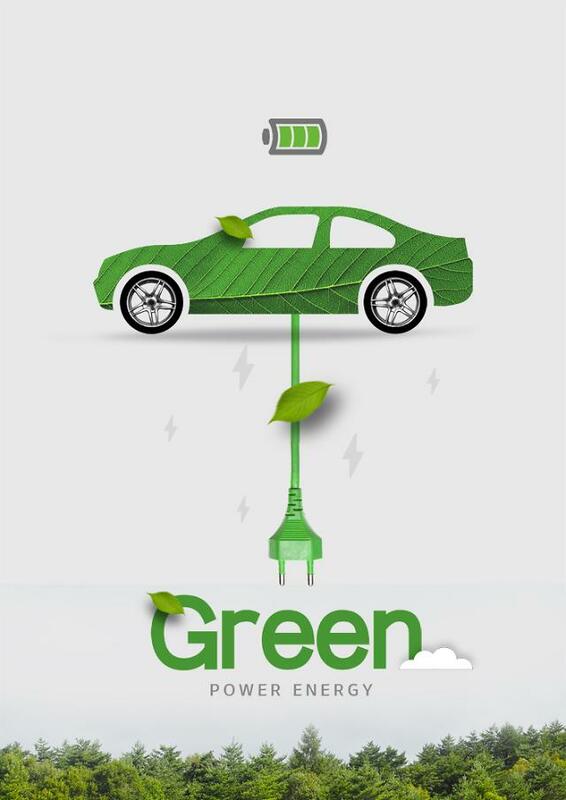 Hydrogen fuel cell vehicles use fuel cells which produce heat, electricity and water through a thermochemical reaction between hydrogen and oxygen. Because of its eco-friendly characteristics, fuel cells are considered the next-generation renewable power source. The hydrogen bus shares a lot of parts with "NEXO", Hyundai's commercial fuel cell-powered sport utility vehicle (SUV) released earlier this year. It carries passengers twice a day. The government has vowed to increase the number of hydrogen fuel cell public transport buses to 1,000 by 2022. 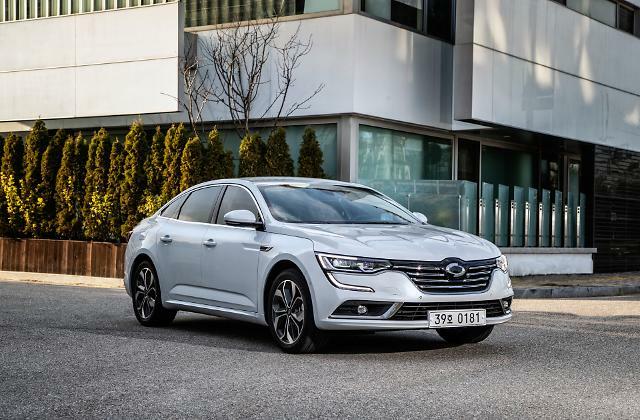 Ulsan and Hyundai have agreed with nine other companies to invest a total of 900 billion won ($797.4 million) in producing about 30,000 hydrogen fuel cell vehicles annually. 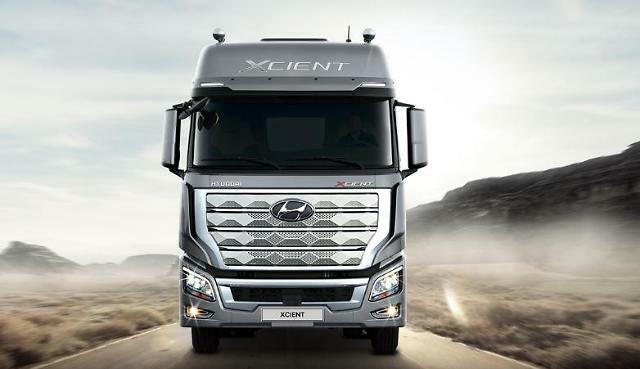 "The government plans to strengthen its support for the development of fuel cell vehicle technology in order to vitalize the hydrogen fuel cell vehicle market and drastically ease unnecessary regulations," Trade minister Sung Yun-mo said in a statement. Still, clean energy cars face an obstacle due to the lack of charging stations in urban areas. South Korean consumers are still worried about their safety. Sung said the government will provide support on the development of infrastructure for hydrogen fuel cell charging stations by working with special purpose companies (SPCs). Beijing demonstrated a test run of three hydrogen buses in 2006, but commercialization has yet to come for various reasons. Vancouver, the southwestern port city of Canada, brought in a fleet of hydrogen buses in 2010, but service came to a halt five years later due to the lack of charging stations and high operating costs.